Greeting a stranger with a warm and genuine smile, opening the door for the person behind you, offering to fix your neighbor’s messy yard—these are just some of the little things you can do to make someone’s day. No matter how simple these gestures may look like, one thing’s for sure: They can have a long-lasting impact on others. With Common Courtesy Day taking place on the 21st of March, how about thinking of ways on how you can spread kindness and positivity to those around you? The day reminds everyone that being polite is one way to make the world a better place for everybody. Common courtesy comes in so many forms—from expressing gratitude to offering your time to help someone. If you feel that it’s been ages since you’ve last spoken kind words to somebody, this occasion may serve as your inspiration to practice courtesy again. 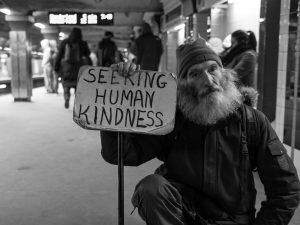 Why the Need to Be Kind? Sure, you have every reason to be mad at somebody who has hurt you, but treating them with hostility or bearing grudges will not bring you any good. Instead, by “retaliating” with kindness, not only will you give yourself inner peace, but there’s even a good chance that they’ll realize their fault and apologize sincerely for whatever offense they did to you. If the latter doesn’t work, at least you’ve proven to be the better person, and that certainly means a lot. Offer someone your seat on a crowded bus. Make friends with a shy employee or student. Help a child or an old person cross the street. Welcome your new neighbor with a basket or plate of goodies. Take the time to volunteer at a local nonprofit. Buy food for a homeless person. Flash your best smile to passersby. If you’ve always wanted to give back to our veterans, those brave men and women who fought for us to protect us from harm, March 21—Common Courtesy Day looks like the perfect moment to do so. All you need to do is donate an unwanted vehicle to us at Veteran Car Donations. Just like that and you’ll be making a huge difference in the lives of our nation’s heroes. That old clunker that’s just gathering dust in your garage can help a veteran find gainful employment. It can provide free mental healthcare to a former serviceman afflicted with Post-Traumatic Stress Disorder. It can help a homeless veteran or someone with a service-connected disability to secure a mortgage-free or specially adapted home. It can provide other needy veterans with job training, transitioning assistance, tutoring support, education scholarships, and financial assistance among other benefits. We will auction off your donated vehicle and use the proceeds to support the above-mentioned programs of our IRS-approved 501(c)(3) nonprofit partners. While your vehicle donation will directly impact the lives of our former troops, you will also benefit since your charitable contribution will entitle you to a top tax deduction. To mark March 21—Common Courtesy Day, why not take kindness to a new and higher level that will uplift the lives of the needy veterans in your community? Call us at 877-594-5822 and show them that you value the services they’ve done for our nation with your car donation!